Patrice Peck, a Buzzfeed staff member, wrote that article. It listed things like macaroni and cheese, a bunch of rap songs, some classic hip-hop dances and makeup (blackface) as some of the things white people need to stop ruining in 2018. That article isn’t so much about what white people are “ruining” as much as it’s about what white people are appropriating from black culture. Either way, the article was damn funny. 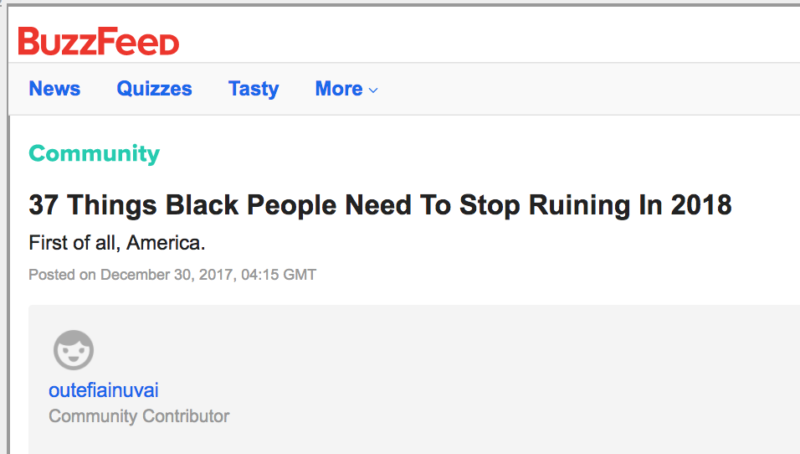 “If this article would have been titled ‘Things black people ruined,’ [it would] be the end of the world … just saying,” added a Buzzfeed reader. Well, that’s obviously what outefiainuvai did with their response piece that is in no way funny. 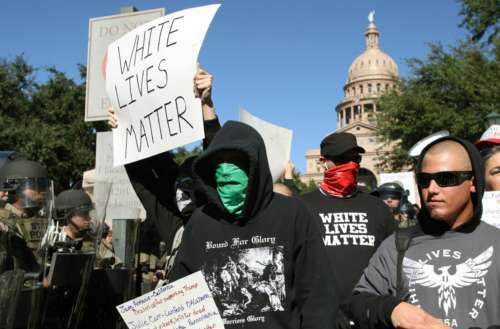 The article has since been taken down, but that isn’t stopping racists on the internet from sharing its content on social media, other web forums and message boards. The disgusting article is filled with every single negative stereotype regarding people of color. But the fact that this garbage was created at all proves that racism is alive and well in 2018. We’re not going to feature every single item here, but some of the things outefiainuvai says black people need to stop ruining in 2018 include the English language, the NFL, cuisine (accompanied by a picture of Kool Aid packets), graduating from high school and white people’s lives. The article also lists gay culture, citing Philadelphia’s inclusion of black and brown stripes on the Pride flag. 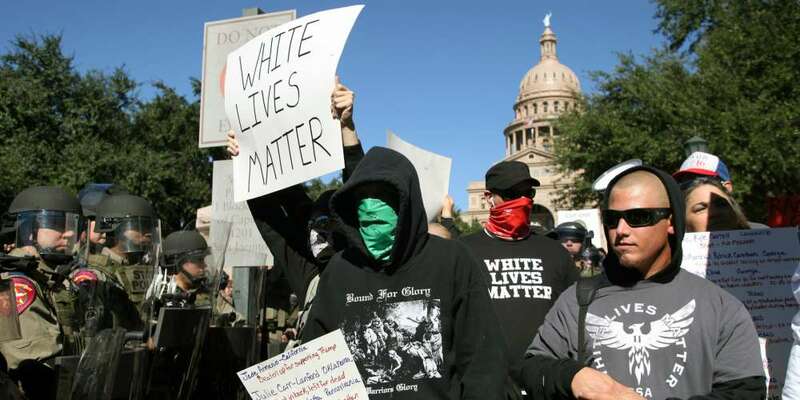 Peck’s article was a funny take about the things white people appropriate from black culture. The outefiainuvai response article and the racism it spews is dangerous.